What if you’re too creative? What if you never finish anything because you keep getting new ideas that excite you more than the one you’re working on? What if you’re a good starter, but not a strong finisher? Hi Randy! I had a question I hoped you could help me with. I love stories, and I have many ideas that I believe I could write into books. Problem is that I tend to hop back and forth on which one to write. I start on the one I’m interested in, make some progress on character info and the story, then I get interested in another story idea and want to write that. Often I never even start writing the actual book. Clearly you can see that isn’t very productive. I know it, and often those ideas just sit half formed. It’s not that they couldn’t be good stories. I give my characters fears, lies to believe, a dark moment in their past, and have some idea for how the story would go. I just lose interest. Do you have that problem? If so what do you do? I’m now trying to write a shorter story around 30 to 50 pages. I think that might help make it easier to finish something. What do you think? Thanks a million! God Bless! Randy sez: Yes, losing focus on a story is a problem. No, it’s not one I suffer with. (I tend to go the opposite way and hang on to stories for very long times.) We all have our tendencies, and not all of them are productive. So how would I solve Elizabeth’s problem? I can think of three directions she might go. I don’t know her exact life situation, so I can’t guess which of these might work best. Maybe none of them will work for her. But listing them out here may give her another idea. And I suspect this is an issue that a lot of my Loyal Blog Readers might have. So for those of you who aren’t strong finishers, here are three suggestions. Elizabeth has already suggested the idea of writing shorter, and it’s one I rather like. If it’s hard to stay focused on a long project of several hundred pages, it might be easier to stay the course on a short project of a few dozen pages. You might take this even further and work on flash fiction of a few hundred words up to a thousand words or so. You can write a piece of flash fiction, edit it, and polish it to perfection in an hour or two. That’s really not enough time to get bored. It might also work to give yourself permission to be working on several stories at once. The idea here is that you always work on the one you have energy for. Then when that starts to feel stale, switch to another for a while. This works if the problem is boredom, rather than an unwillingness to finish. I have a co-worker who likes to have numerous tasks on his pile. He’s constantly switching from one to another. Wouldn’t work for me, but it works for him. But if the problem is that you really don’t do well with finishing projects, this isn’t going to work. You’ll just juggle more and more and more, without ever crossing the line on any of them. I’ve worked with a coauthor, and it worked out well for both of us. All authors have strengths and weaknesses. If you can find one with strengths and weaknesses that complement yours, then this might be the ticket. If you’re a weak finisher, then what you’re looking for here is somebody who is a strong finisher and can drag you across the line, kicking and screaming. Why would anyone want to team up with you if they’re such a great finisher? Maybe they’re not great at starting. In that case, you’d be good at getting them revved up, and they’d take care of getting you wrapped up. Try writing with a strong finisher as a partner. And I suspect my Loyal Blog Readers can think of more ideas. What do you say, readers? Any ideas for Elizabeth? What’s worked for you? How Do You Learn the Craft of Writing Fiction? What’s the best way to learn the craft of fiction writing? Should you get a book of exercises and work through it? Or should you just start writing? Randy sez: Good question, Scott. There are any number of ways to learn the craft of fiction writing, but they all boil down to three core elements, which I’ll discuss below. But first, let’s make sure we’re all on the same page in terms of words. Scott refers to himself as a “freshman writer.” He doesn’t mean he’s in his first year of high school. Scott is referring to a classic article on this website, Freshman, Sophomore, Junior, Author! In that article, I explain the four basic phases of getting published. Writers who are just starting out are called “freshman,” and their main goal is to develop their craft. So then, the big question is this: how does a freshman writer learn the craft of fiction writing? Write the kind of book you want to sell. Read books or take courses or otherwise study the craft of writing from experts. Get your work critiqued by someone who understands craft AND knows how to give a critique. I have no idea. They’re all essential. Which of the four tires on your car is most important? Let’s look at how each of these works. If you want to be a good swimmer, you need to swim. A lot. Reading the theory of swimming will help, yes. Getting a coach will help, yes. But you need to get in the water and do it. Same with writing. If you want to be a good writer, you need to write. A lot. You need to write the kind of fiction you want to publish. Every successful writer I know agrees with this. By writing fiction, you develop the emotional muscles to move your reader emotively. And that’s what fiction is mostly about. You might think 10 minutes is too little. Actually, no, it’s fine for a beginner. The goal here is not to work yourself to exhaustion. The goal is to create a habit that will carry you through days of low motivation. Once you’ve built the habit, you can ramp up the time. You might think professional writers can’t possibly get by on only 2000 words per day. Actually, they can. Stephen King writes about 2000 words per day, pretty much every day. That works out to over 700,000 words in a year, which is several large novels or a lot of smaller works. In fact, 2000 words per day is too aggressive for many writers. I know professional writers who do fine with a quota of 1000 words per day. Again, doing it every day is the thing that wins you gold medals. I learned how to play chess when I was 8 years old. I learned it from a neighbor kid, and he had very little clue on how to play well, which meant that neither did I. The summer I was 12, I bought a book on chess and worked through it. And that book was dynamite. I learned about a dozen rules of thumb that turned me from a terrible player into a very decent player. When I went back to school in the fall, I could beat every kid in the chess club. Same thing happened when I started writing fiction. I just started writing without any instruction at all. I had some native talent, but I had no idea what I was doing. Then I bought Dwight Swain’s book, Techniques of the Selling Writer and worked through it. I applied it to my writing. That book was dynamite too. In a few months, I began writing much, much better. Eventually, I started going to writing conferences and taking courses with published novelists. Every time I did, I learned new stuff. Not long after that, I got my first book published. I continue to study the craft. Because books have power. That’s one reason I write books on how to write fiction. Because nothing I do in this life will have more influence than the books I write. There is nothing harder than getting your writing critiqued. I still remember my terror the first time I went to a critique group. And I still remember how I couldn’t sleep that night after getting critiqued. Getting critiqued is necessary. You don’t know what you don’t know. You can’t be objective about your own writing. I took a swim class once, many years ago. I had no delusions of grandeur. I just wanted to learn how to swim a bit better. On the first day, the teacher had each person in the class swim once across the pool. In front of a video camera. I couldn’t figure out how they could not know what they were doing wrong. Then I saw the video of myself swimming, and the teacher explained what I was doing wrong. And I couldn’t believe I was doing that. No wonder I was a lousy swimmer. An objective critique matters. An objective critique by someone who knows how to critique is pure gold. Now we can get back to Scott’s question. Should he continue working through the book? Or should he start writing one of those ideas burning a hole in his brain? I hope the answer is now clear. Writing is essential, so make it a habit to write every day. Training is essential, so study good books on craft and master them. But there’s one thing Scott didn’t ask about. Critique is essential, so find someone who can look at your work and give you a little guidance. A freshman who does those three things will soon move up to being a sophomore. Most of the authors I know are still doing those three things regularly. For extra credit, pass along what you learn to other writers. I’ve discovered that I don’t really know a subject until I’ve tried to teach it. Can You Have Multiple Protagonists? Are you writing a novel with multiple protagonists? Have you been told that’s a no-no? Are you worried that it’s not going to work? Is there some rule against multiple protagonists? You’ve mentioned that few stories have more than one protagonist. Are these types of stories not well received? My first novel has two protagonist who unbeknownst to them are each others antagonist and is written in first person from each of them. In a nutshell it follows the same timeline of two characters who are traveling separately. The chapters switch every 3-5 chapters from one to the other so the reader doesn’t fall behind on what is happening with either. I tested it with a few people as two separate books because of the length (358 pages in 5.5×8) but those who read them felt a strong attachment with the first character they read and immediately saw the second as the antagonist which is not the intent. They said the combined book allowed them to feel for each character in a stronger emotional bond. I was also told that switching characters in shorter time intervals was easier to follow than when I had Part 1 Character 1 with a longer time frame then went to Part 2 Character 2. In that format the readers felt they had to restart the story that they were already emotionally involved in and found themselves again looking for the first character. The first person narrative as opposed to 3rd person, which I attempted, was intended to focus on the characters internal struggle and I’ve been told feels like you found an old journal and you’re reading their deepest fears, thoughts and needs. Its been well received so far. I’m actually on my second book that my readers are asking for and looking to publish my first in a POD, but would love some feedback. Randy sez: My first rule of writing is that you can write your novel any way you want, as long as it works. And the novel “works” if it delivers a powerful emotional experience to your reader. If you connect with a character, you want him or her to succeed. You want to cheer for your character’s victories and moan over their defeats. If you now connect with a second character who wants the first one to lose, then you no longer have a yardstick for what’s good and bad. What’s good for the first is bad for the second, so how are you supposed to feel? Now I’m sure that a very skilled novelist could write a novel with multiple lead characters and could somehow move the reader to keep switching allegiance from one to the other. But that seems to me to be a lot harder than writing a novel with one clear protagonist. That seems to me to be a case of 1 + 1 = 1/2. Are Multiple Protagonists Well Received? Invariably, when this kind of question comes up, I hear from objectors who say, “But Author X wrote a novel with multiple protagonists and sold millions!” And invariably, counter-objectors respond, “Yes, but you’re not Author X.” (In some cases, Author X actually wrote a novel with multiple viewpoint characters, not multiple protagonists. Some recent blog posts on this are: Multiple Viewpoint Characters and How Many Viewpoint Characters in Your Novel? and How Do You Decide Who Your Protagonist Is? I don’t think that I’m good enough to write a novel with “multiple protagonists”. I suspect there aren’t many authors who are. And that’s why writing teachers generally advise writers to stick with one protagonist. But I’ll repeat myself: you can write your novel any way you want, as long as it works. Have fun! If you finished your novel during NaNoWriMo—National Novel Writing Month—you may be wondering what comes next. How do you tackle revising your novel? So, NaNoWriMo is done. I won! Yay! I now have a fairly “complete” story of about 96,000 words that is … a big mess! Where do I start with revisions? And how do I keep from feeling overwhelmed? Randy sez: First off, Amanda, congratulations on winning NaNoWriMo! And you won very handily. To win, you only had to write 50,000 words and you did almost twice that, 96,000. That’s a very productive month! Your question is a common one—how to tackle revising your novel. There are several ways to do that, just as there are several ways to generate your first draft. Make a written document that tells what changes I’m going to make without actually making any changes. This gives me a chance to think strategically about my revisions. Once I have a written plan for my revisions, I plunge in and actually start making changes. But I do this on a copy of the first draft, so I can always get back to the original if the revisions turn out bad. Now before we talk about how to revise your novel, let’s review some basics on how we write first drafts, because there are a number of ways to do that. The method you choose will affect how you later tackle revisions. Seat Of The Pants—you just sit down and type your first draft without planning your story and without editing anything. You keep pressing forward until the first draft is done. Edit As You Go—you sit down and type your first draft without planning, but you edit each page and/or each scene many times before moving on to the next. 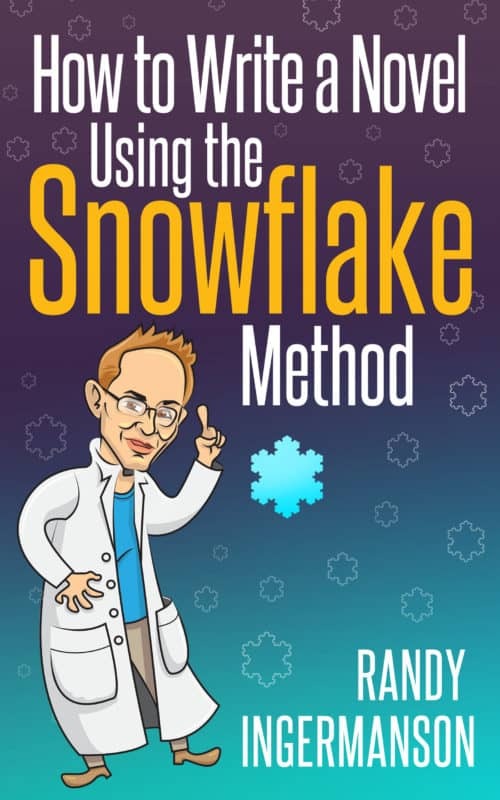 The Snowflake Method—you use my wildly popular 10-step Snowflake Method of planning your story before you write it. Outlining—you create a long and detailed synopsis (sometimes up to 100 pages). Then you write the draft following your outline. When writing the first draft, you are mainly wearing your creative hat. But once the first draft is done, it’s time to put on your editing hat. So how do you do that? Just as there’s no one best method of creating your first draft that works for everybody, I suspect there’s no one best method of revising your novel that works for everyone. I would bet there are a number of editing paradigms that writers use. I can think of at least two, and I’m sure there are many others. Work through the Snowflake Method in light of everything you learned by writing the first draft. Make a list of revisions you’ll make. I’d use this method to revise a first draft that is “not too messy”—that is, the story structure is pretty clear and the characters are reasonably consistent. Work backwards through the first nine steps of the Snowflake Method, again making a list of revisions you plan to make. I’d use this method to revise a first draft that is “very messy”—this is, the story structure is very unclear and the characters are not yet well fleshed-out. I’ll say a few words about each of these in the next two sections. I start with my One-Sentence Summary that I came up with before I wrote the first draft. Can I improve it, now that I’ve written the story? And does my revised One-Sentence Summary suggest ways to improve the story on the next draft? Then I look at the One-Paragram Summary. This breaks down into a Three-Act Structure, with three major disasters as turning points. Can I refine my One-Paragraph Summary in light of the actual story I wrote? And after refining my One-Paragraph Sumary, can I see things in my first draft that need to change in the next? I continue on like this through the first nine steps of the Snowflake Method. At each step, I try to tweak my original Snowflake document in light of the actual first draft that I wrote. And after tweaking the document, I ask if the tweaks I just made suggest any changes that I need to make in the next draft. If the large-scale structure of your story is not clear at all, then you might do better by figuring out your story structure, working backwards through the steps of the Snowflake. Start with the actual manuscript you wrote for your first draft. 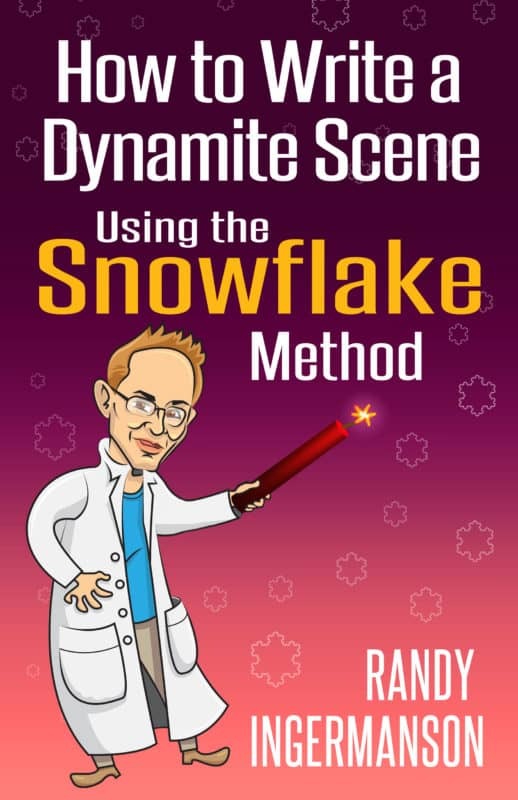 Analyze each scene using the tools in my book How to Write a Dynamite Scene Using the Snowflake Method. Is the scene Proactive or Reactive? What are the main parts of the scene? Does the scene work emotively? Can you summarize this scene in a single sentence? If you do this for every scene of your novel, you will have completed Steps 9 and then 8 of the Snowflake Method. Read through the manuscript, taking notes on all your characters. What’s their physical description? What is their age? What do you know about them, their family, their friends, etc? What drives them? You can create a separate dossier for each character in your novel. By the time you finish this read-through, you’ll have a complete “character bible” for all your main characters. This is Step 7 of the Snowflake Method. Go back to your list of scenes and construct a long synopsis (4 or 5 pages) in which you cover the high points of all the scenes. When you complete this, you’ll have finished Step 6 of the Snowflake Method. Think about each of your characters, focusing on their backstory and how that affects them in your story. Write half a page up to a full page on each of your main characters. Or do an imaginary interview with each main character. When you’ve done all this, you’ll have finished Step 5 of the Snowflake Method. Try to trim down your long synopsis into a 1-page synopsis that just covers the high points. It’s OK to not cover every single scene. Try to capture what’s going on in the main groups of scenes. This is Step 4 of the Snowflake Method. Write a short summary of each of your characters, focusing on their role in the story and their story goal, their ambition, and their values. This is a caricature of your characters where you capture only the high points. When you finish, you’ll have done Step 3 of the Snowflake Method. Summarize your story in one paragraph. Write a sentence that sets up the background of the story. Then one sentence for each of three main acts in your story. Then one sentence explaining how it ends. This is Step 2 of the Snowflake Method. Write a One-Sentence Summary of your story that you can use as your “elevator pitch”—in case you ever find yourself on an elevator with an editor or agent. (This does actually happen sometimes.) When you’ve got a good One-Sentence Summary, you’ve completed Step 1 of the Snowflake Method. Now that you’ve worked through all the steps backwards, zip through them all again from Step 1 to Step 9, making notes on what changes to make. What should you add to your story? What should you remove? What other revisions should you make? When you’ve made a list of the changes you want to make in revising your novel, make a copy of your first draft and rename it as your second draft. That way you aren’t editing the original, and if you don’t like your edits, you can always get back to the original. Then get to work putting in the changes you listed. Start with the first scene in your new scene list. If it’s a brand new scene, then write it from scratch. If it’s an old scene that you’ve marked to delete, then delete it. Otherwise, make the changes that you decided to make. Keep going from the first scene to the last, following your revision plan. When you finish, you should now have a second draft that’s way better than your first. It may not be perfect, but it’s better. Repeat the process as many times as you need. Every writer is different, and it may be that the methods I’ve described above don’t click with you. That’s okay. But I hope they give you some ideas so you can invent your own action plan for revising your novel. Good luck, and have fun! How many viewpoint characters should you have in your novel? Is it okay to just have one? Is there such a thing as too many? How do you decide? I’m writing a novel with 6 main characters. I’m having trouble with head hopping and what POV and how many POV’s I should use for the story to work and flow properly. It’s a fantasy book. 3 of the characters are friends in the beginning and are in most science together and it mainly follows them, but the other 3 characters don’t appear till later and aren’t there for every scene but they are still hugely important to the story. There’s one character I could write from first person and make the protagonist but the other characters input are to important. How do you think I should write this without messing it up. Randy sez: It sounds like you have a choice of anywhere from 1 to 6 viewpoint characters in your novel. I don’t think 1 is too few. I don’t think 6 is too many. I typically have 3 or 4 viewpoint characters in my novels, but I’ve gone up to 5, and my current work in progress has more. But your novel is made up of many scenes, and each scene should work as a story in its own right. Therefore, each scene will typically have one main character that the scene is about. And that main character isn’t necessarily the protagonist of the novel. The main character for each scene is usually called the “viewpoint character” (or the “point-of-view character” or the “POV character”). For more on viewpoint characters and why you need them, see chapter 4 of my book How to Write a Dynamite Scene Using the Snowflake Method. So how do you choose the viewpoint character for each scene? That depends. You may decide that your novel is only going to have one viewpoint character. In that case, there’s no decision to make for the scenes. You’ll use the same one every time. This has some advantages in giving your reader a consistent experience. But the disadvantage is that every scene has to have that viewpoint character, which means he or she really has to get around. Most novels have multiple viewpoint characters. These will typically include the protagonist, friends of the protagonist, enemies of the protagonist, and possibly others. A good rule of thumb for each scene is to choose the viewpoint character to be the person with the most to lose in the scene. This is a rule of thumb. It’s not always the best choice, but it’s often a very good choice. So consider that character first. Then ask if there’s a better choice. My guiding principle is to try to give the reader a powerful emotional experience in every scene. So the critical issue is which viewpoint character will do that best. But How Many Viewpoint Characters? Now we can circle back to Moriah’s question. How many viewpoint characters should you have in your novel? That’s really up to you. It’s almost inevitable that you’ll give one of your viewpoint characters more air-time than anyone else. (Usually, this is the protagonist, but sometimes the protagonist of a novel isn’t a viewpoint character. In the Sherlock Holmes stories, the protagonist is Holmes and the viewpoint character is usually Watson.) Whoever you choose to get the most air-time, they need to have a strong voice. Usually there will be a couple of other characters who also get a lot of air-time, but less than the leader. If you have three viewpoint characters, for example, you might give one 40% of the scenes and the other two 30%. That’s a nice, balanced split, but there’s nothing magical about it. If you have a largish number of viewpoint characters (5 or more), then some of them are not going to get many scenes. At least one of them will get no more than 20% of the scenes. And if you have a LOT of viewpoint characters (15 or more), then some of them might be walk-on characters who only star in one scene. That’s okay. That can work. If you need that many to make the novel work, then do it. My opinion is that the number of viewpoint characters you choose is probably not going to mess up your novel. What makes or breaks your novel is the quality of the viewpoint characters—how well each scene works. If you make sure that every scene has a really solid viewpoint character, and if your main story has a solid protagonist, then the count of viewpoint characters is not a major issue. Don’t get carried away, of course. If your novel has 100 scenes and 100 viewpoint characters, that’s going to take some extra skill to make sure that the main story hangs together as a story. But for practical purposes, 1 viewpoint character is as good as 3, which is as good as 6. It’s not something to sweat too much over.